Attahullah Khogyani, spokesman for the provincial governor, said the first bomb detonated near a school in the provincial capital Jalalabad. That blast was later followed by two others in Behsud district, also near two schools. Kabul: At least 32 people were killed and more than 130 others were injured a suicide bomber detonated his explosives-filled vest among a group of people protesting a local police commander in eastern Afghanistan on Tuesday. Attahullah Khogyani, spokesman for the provincial governor said the all 32 people killed in the attack were innocent civilians gathered for a protest. A number of wounded people are in critical condition, he said. Also in Nangarhar, at least one person was killed and four others wounded in a series of additional bomb blasts near different schools, said Khogyani. 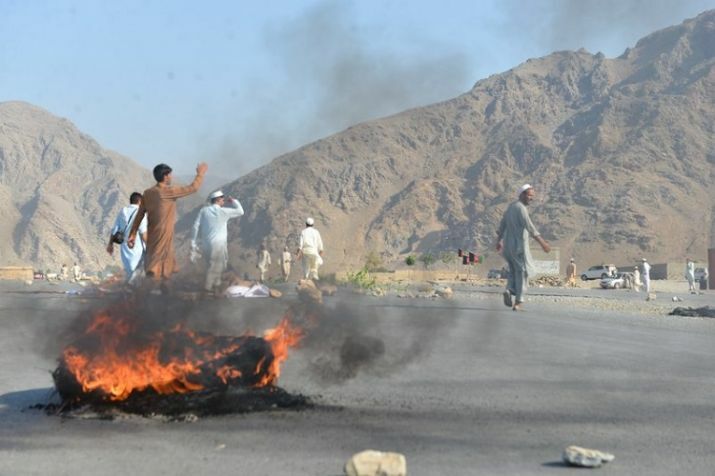 No any other group immediately claimed responsibility for any of the attacks, but both Taliban insurgents and the Islamic State group are active in eastern Afghanistan, especially in Nangarhar province.